Since I’ve been back from Lake Tahoe, I have been eating out at every meal trying to recover from my world class cuisine and wine withdrawals. I decided that today, I would go for more healthier options, at least for my lunches. Luckily it was Friday, which meant I could go check out the Saint Helena farmers’ market at Crane Park. 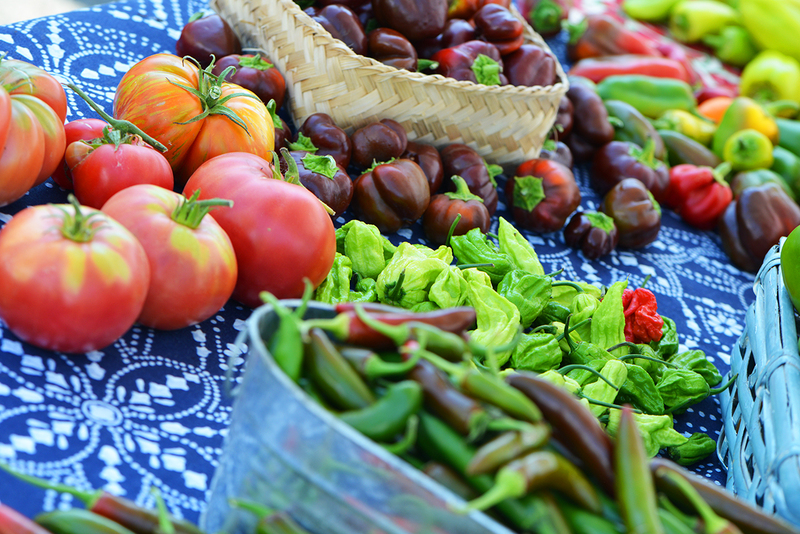 The farmers’ market runs from May through October, on Fridays from 8am-1pm. Today I took my bicycle and made the one mile journey to Crane park to shop, blog and shoot photos. Out of the many wonderful vendors, I focused on the wonderful produce and meats. Santa Rosa Seafood puts grocery stores to shame. There are so many options to choose from it’s almost overwhelming. Everything is fresh and on ice, mostly vacuum sealed for easy transport. Some of the seafood includes: trout, escolar, halibut, many different salmon varieties, colossal shrimp, cod, crab meat, scallops, ahi, red snapper and sturgeon. They also have an online seafood store that delivers over 60 types of seafood to all 50 states. I find that the star of the show is the homemade smoked salmon. It is freshly grilled right there at the market. The salmon comes in both peppered and plain. You choose the slice you want to take home, and I chose the peppered. It’s ultra fresh and has just the right balance of sweet and smokey. The fish is tender and the smoke lingers well after you have had a bite. I think a nice Chenin Blanc or Gewürztraminer would go perfectly with this. 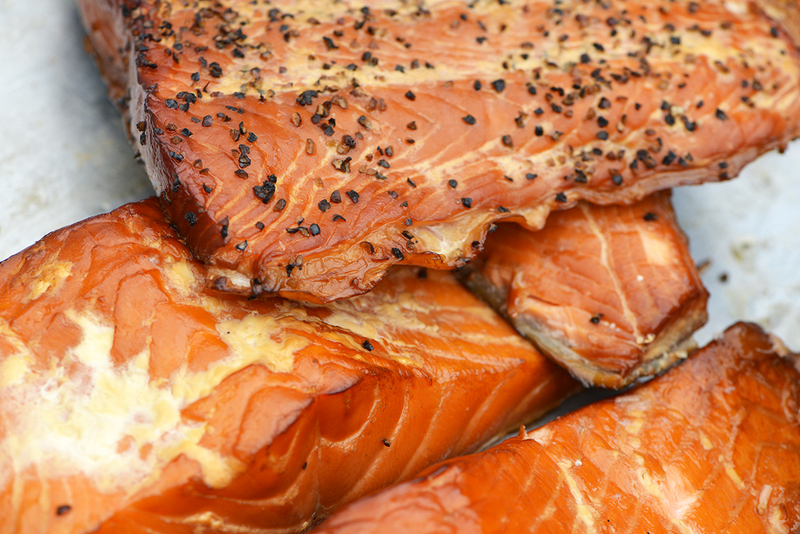 You can definitely put this smoked salmon on a nice salad or just eat it solo. 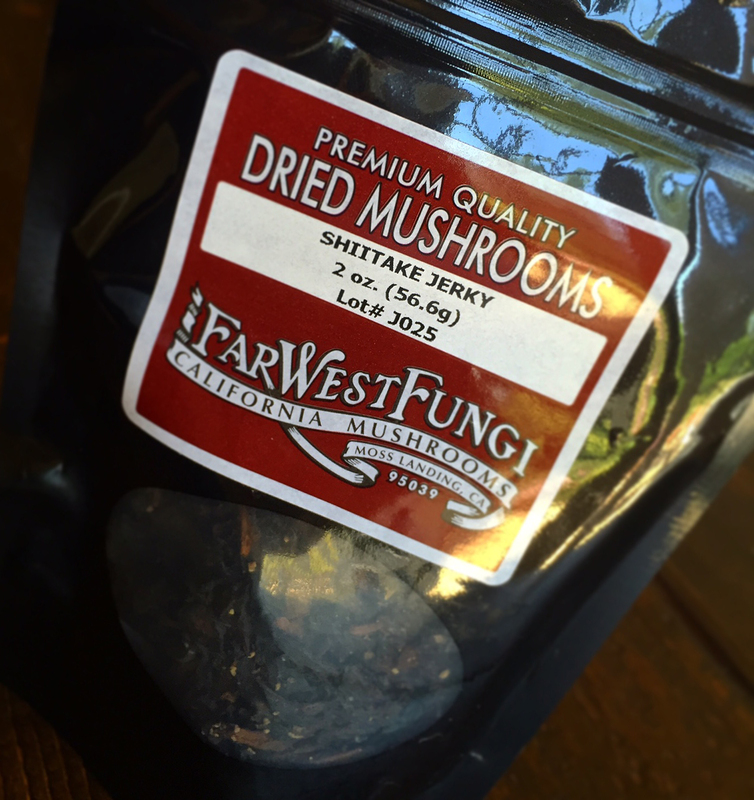 Far West Fungi comes all the way from Moss Landing down by Monterrey. They had some of the most exotic and interesting ‘fungi’ or mushrooms I have seen: Tree Oysters, Lions Mane, Maitake, King Trumpets, Shiitake, Yellow Tree Oysters, Piopini and Shiimeji, all of which are organic. Because I love jerky, the Shiitake Jerky peaked my interest. It’s made with Tamari, Sake, Balsamic Vinegar, Brown Sugar, garlic, and pepper. Is a nice vegetarian alternative to regular jerky and because it contains tamarin and not soy sauce, it’s gluten free. It also contains vitamin D, protein and is cholesterol free. The texture is similar to traditional jerky but I get more of an asian flare on the palate. The nice peppery finish reminds me of traditional jerky. It’s an excellent healthy snack that is highly addictive. 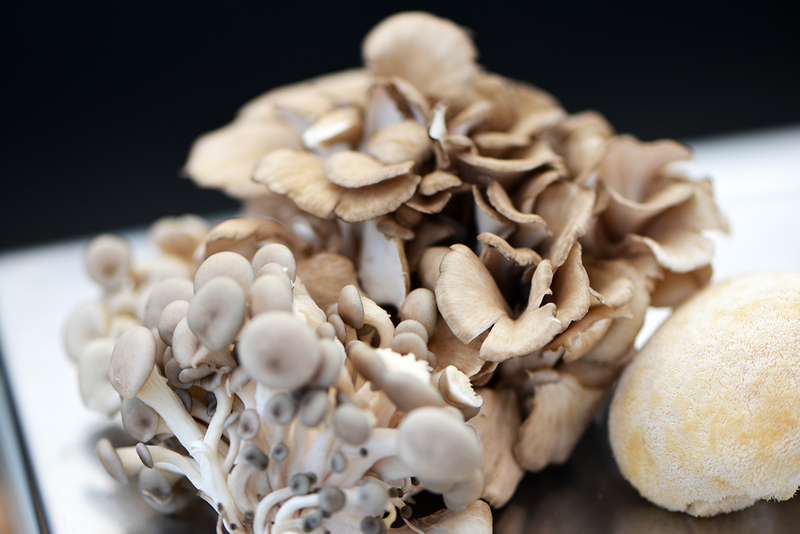 If you can’t catch Far West Fungi at a local farmer’s market, they also have a retail store is located in the San Francisco Ferry Building. Long Meadow Ranch dabbles in many things from farming to winemaking. At the farmers’ market they sell fresh organic produce from their Rutherford Estate which also supplies their restaurant, cafe and culinary events. 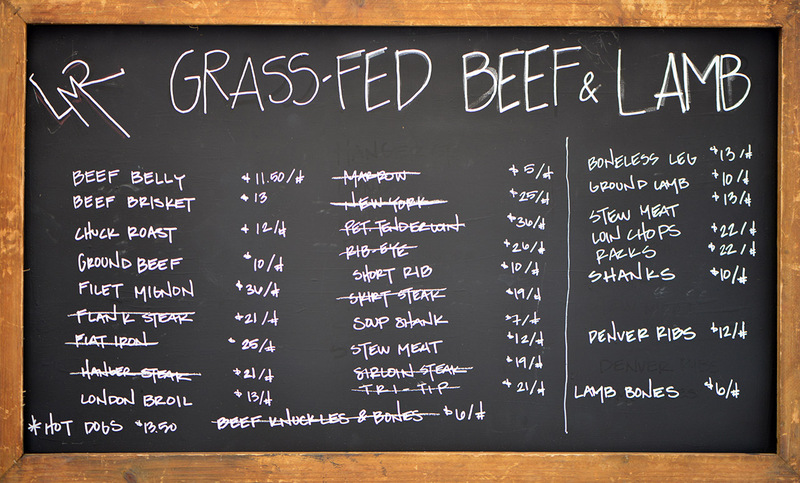 They also offer grass fed beef and lamb in many cuts. As you can see, I showed up late to the market and some of the beef cuts sold out fast. Among the produce offerings were kale, chard, eggplant, summer squash, figs, quince, peaches, strawberries and fresh herbs. Long Meadow Ranch is a member of the CCOF (California Certified Organic Farmers). CCOF is a non-profit organization for advancement of organic agriculture. If you can’t catch Long Meadow Ranch at the St. Helena farmers’ market, visit Farmstead for lunch, happy hour or dinner where they incorporate their fresh ingredients in their gourmet dishes. St. Helena Montessori School & Farm teaches kids about farming at an early age. As the students progress, the program gets more in-depth and ends with students understanding the true farm-to-table process as well as animal husbandry and agriculture. Today, students were manning the booth at the farmers’ market. This was probably one of the best smelling booths with fragrant fresh basil in the air. I don’t think one person walked by that didn’t by a bunch or two. 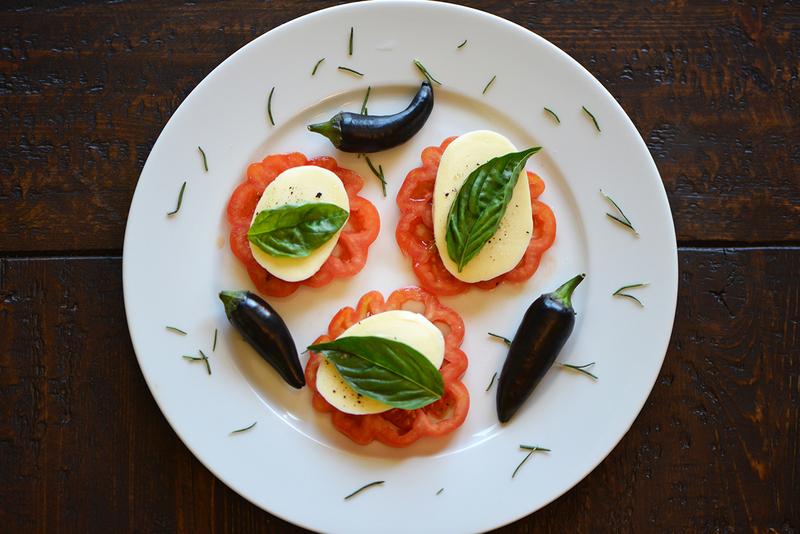 I bought the basil along with garlic and heirloom tomatoes, which were some of the most vibrant in the whole market. 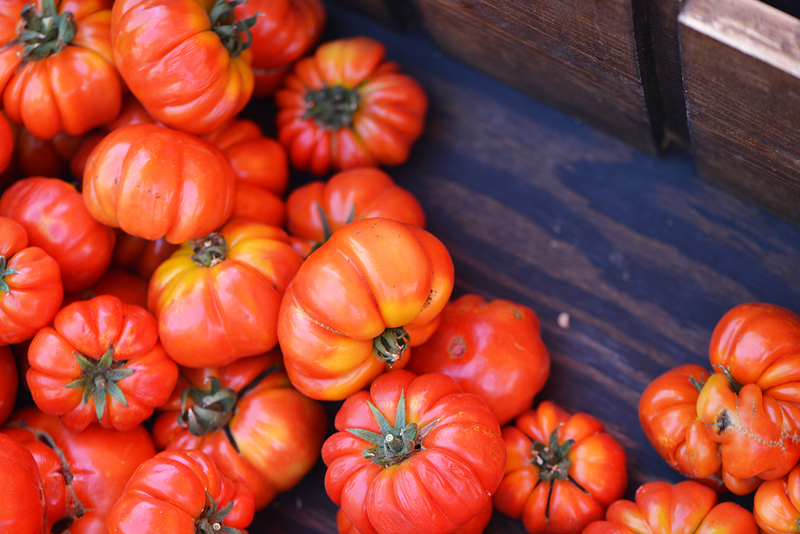 Tomato season is in full swing and there were many to chose from but these stood out. They also had many cucumbers (lemon, Persian and slicing), squash, okra, zucchini and padron peppers. I definitely wanted to support this organization so I bought the bulk of my produce there and moved on. Triple “T” Ranch & Farms is based in Sonoma County. Everything is certified organic with the exception of the whole chickens and eggs which are all natural. They were super friendly, accommodating and had a lot to chose from. Ever since I burnt my fingertips last month peeling Serranos, I’ve been fascinated with peppers. 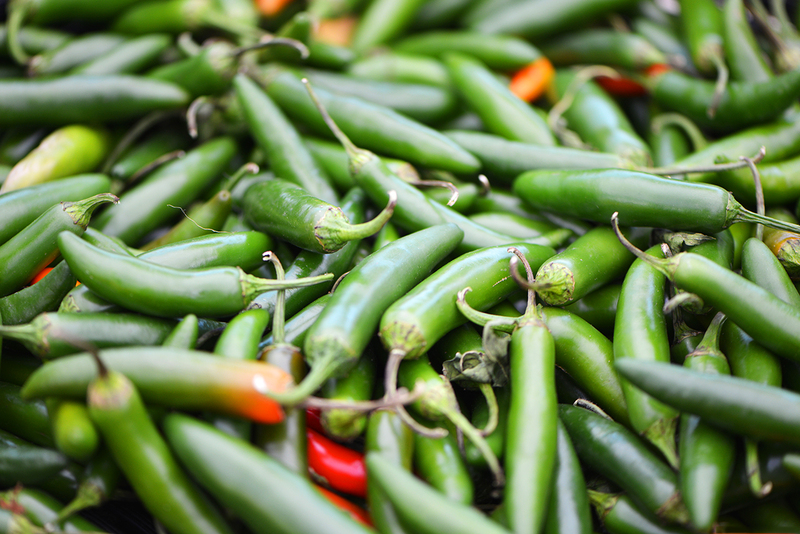 They had a wide variety at Triple “T” Ranch & Farms: Serrano, Hungarian Wax, New Mexico Hatch, Poblano, Jalepeno, Shishito and sweet pepper. They also sold a variety of fresh herbs including: chives, rosemary, mint, thyme and basil. I picked up a bunch of rosemary and a few New Mexico Hatch peppers, which hopefully will be on the mild side. Grant Farms was probably one of the smaller booths I visited but also very colorful. She said her son had started it a year ago and that she really enjoyed the growing and farming process. Grant Farms is from the Monticello area of Napa and is organic, sustainable and non-gmo. I found a lot of unique produce there including Black Brazilian peppers and Chocolate Bell Peppers. I liked her set up of peppers as I thought if was visually appealing (see photo above). She also had many different colors of cherry tomatoes and heirlooms. She gave me a few Brazilians for me to try. When I got home, I bit into one and realized I probably shouldn’t have done that. These are hot peppers and I think I will cook them in a sauce or a stir fry. 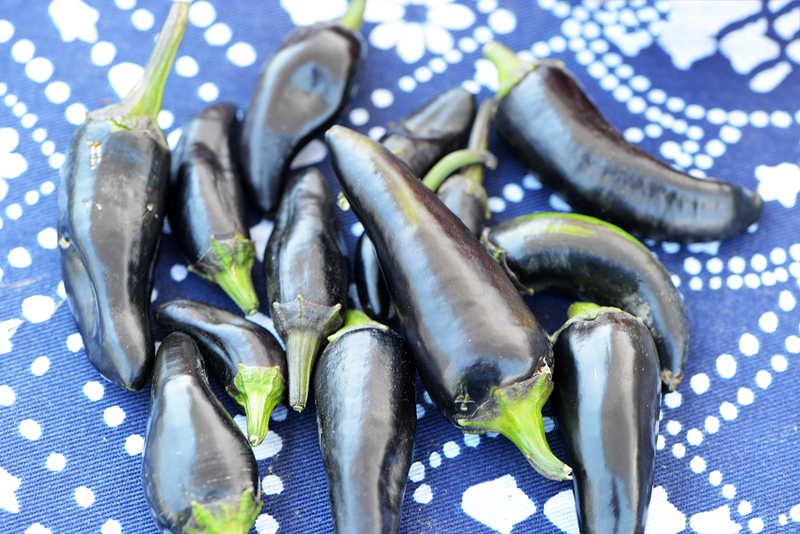 Black Brazilian Peppers – Hot! Whenever there is cheese around, I always need to stop what I’m doing and investigate. Dacheva Son’s Cheese Company is a small producing cheese company in Petaluma. Pablo Guerra learned the art of cheesemaking from his father. At the farmers market he had Aged Goat cheese, Chihuahua (pepper, garlic, white and drunk), and flavors of cow’s milk cream cheese, which you could sample. I opted for the mozzarella made from Jersey milk. The cheese was mild and firm and not over salted. It had a nice creamy, fresh taste that you don’t get from mass produced cheese. I figured it would be perfect for my lunch that I was about to make, so picked it up as my last item of the day. Here is my final treat with fresh organic produce and handmade cheese. Heirloom tomatoes and basil courtesy of St. Helena Montessori School & Farm, Rosemary from Triple “T” Ranch & Farms and Black Brazilian Peppers courtesy of Grant Farms. Add a little salt and pepper and you have a nice fresh summer snack with quality ingredients you wouldn’t find at a grocery store. And why not make it look pretty, it’s twice the fun! Perfect lunch plate. With the acidity of the tomatoes and the heat from the peppers, I’d pair that with a Kabinett Riesling from Schafer-Frolich. Prost!